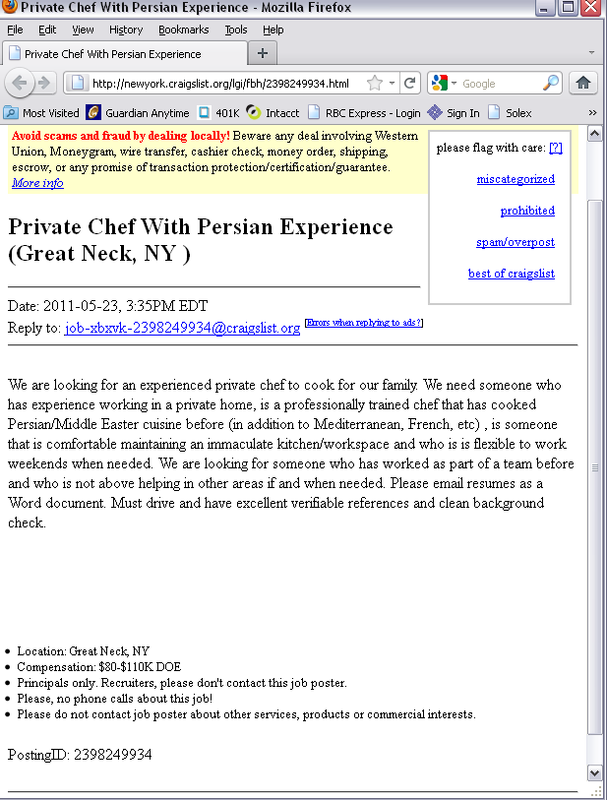 Are you a professionally trained chef with Persian cooking experience? There is apparently a $100k a year private chef job waiting for you | Thanks a Glatt! Who has the best Kosher Steak in NY? 13% Costco has gone Kosher Krazy! 7% Tiberias dairy restaurant now open in midtown! 7% Chickpea is now Kosher again! I can think of a few thousand women in Great Neck who qualify for this job without the professional experience. $80-110k averages to about $275 a day, meaning someone could grab a few combinations for you from Colbeh and still pocket about $100 a day if you really need persian food that badly. I don’t even get why someone would want to pay for this – why not just eat out every night it would be cheaper and much more enjoyable? Also – if this is your add and you have any daughters please leave a comment below – we need to talk! What makes you think they are kosher/Jewish? The Persians in Great Neck are 99% Jewish! Yeah, but you never know. Recent reviews by Sam M.
A Member of the JNetwork!